The Naschmarkt in Vienna: Is the visit worthwhile? 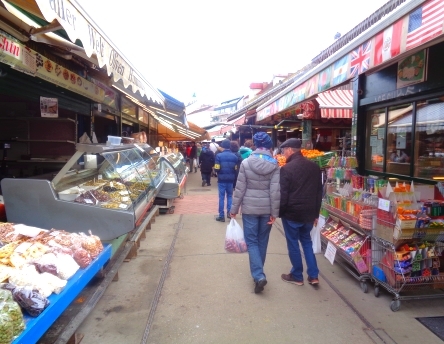 What products are available at the Naschmarkt? The Naschmarkt near the centre of Vienna is one of the most beautiful and interesting food markets we have ever seen. There are many lesser known and exotic goods, especially food. Some things we have seen for the first time. 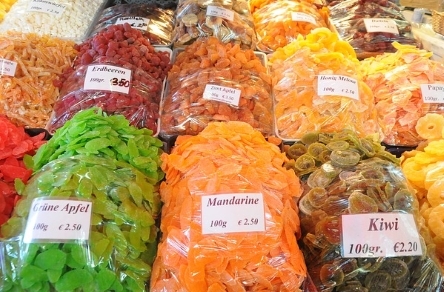 In addition you will find a creative gastronomy on and around the market. Which products are available at the Wiener Naschmarkt? Many stalls offer food from abroad. We especially like the big olives and the many different cheeses like the fresh feta from Greece. Also the hundreds of different exotic spices belong to our highlights on the Naschmarkt Vienna. 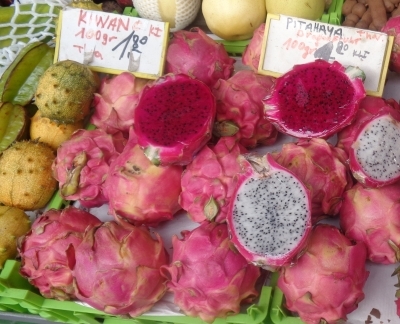 In addition, we buy dried fruits such as strawberries (very tasty), mango, pineapple etc. almost every time we visit the famous Viennese food market. These are offered openly by several sellers, you can mix them yourself. 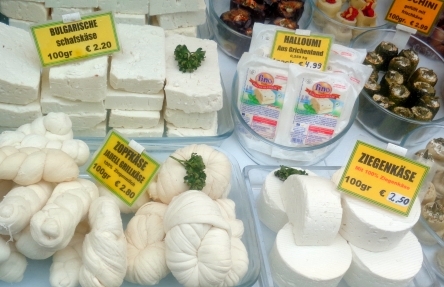 Another of our favourite products on the Naschmarkt is goat cheese from the Mediterranean. The Italian salami varieties are also very tasty. Several fish shops at the entrance of the market offer unusual and exotic fish, mostly fresh fish. Many other exotic foods and delicacies come from the Balkans, Turkey, Asia, Latin America and Africa. A large number of traders on the Naschmarkt are also from Italy and Greece. The Naschmarkt consists of two longer streets with stalls on the left and right, only about 300 meters from the end of the central pedestrian zone Kärtner Straße (the street from St. Stephen’s Cathedral to the south). 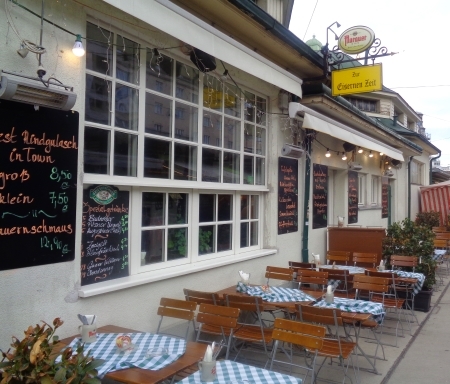 Very interesting is also the surroundings of the Naschmarkt with typical Viennese restaurants (Austrian: Beisl), pubs and coffee houses. The famous „Theater an der Wien“ is also very close to the Naschmarkt. Is a visit to the Naschmarkt worthwhile? We mean yes! For us the market is one of the most interesting sights in Vienna and there is no entrance fee. We especially like the exotic variety and the good atmosphere at the Naschmarkt: cosmopolitan yet typical Vienna.